The call for papers for this year’s International Conference on Functional Programming is about to close in two weeks, and over a hundred cutting edge research papers will be submitted on the theory, application and experiences behind functional programming and type theory. In addition to the main conference, there are also over 10 big affiliated workshops that run throughout the week on topics ranging from specific languages (Erlang, Haskell, OCaml), the broader commercial community, and even art and music. The ICFP conference experience can be a remarkable one for students. Some great ideas have emerged from random corridor conversations between talks with the likes of Phil Wadler, or from rain-soaked discussions with Simon PJ at Mikeller, or in my case, from being convinced to write a book while in a smoky Tokyo bar. 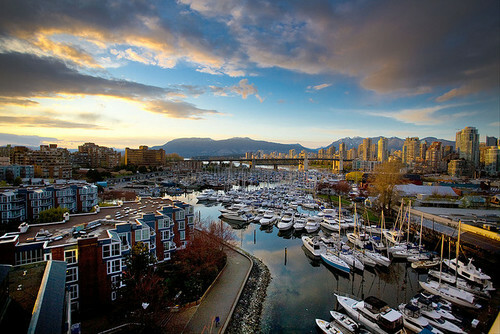 This year, it will be held in the beautiful city of Vancouver in the fall. We’re committed to growing the ICFP community, not just in numbers but also in diversity. The Programming Language Mentoring Workshop has been at capacity since it started and will run again. For the first time ever, I am really excited to announce that the Ada Initiative will also be running an Ally Skills workshop during the conference. Sustaining these activities and responsible growth means that we need to reach ever wider to support the activities of the (not-for-profit) ICFP conference. So as this year’s industrial relations chair, I wish to invite any organization that wishes to support ICFP to get in touch with us (e-mail at avsm2@cl.cam.ac.uk) and sponsor us. I’ve put an abridged version of the e-mail solicitation below that describes the benefits. Sponsorship can start as low as $500 and is often tax deductible in many countries. Corporate support funds are primarily used to subsidize students – the lifeblood of our community – and in turn serve to raise the community profile of the supporting companies through a high-profile industrial recruitment event. Last year, unprecedented levels of support from you and folks like you at over 25 companies and institutions made it possible for students from all over the world to attend ICFP 2014 in Sweden. The Industrial Reception, open to all attendees, was by all accounts a roaring success. All 2014 sponsoring companies had the opportunity to interact with the gathered students, academics, and software professionals. This year, let’s build on that success and continue to grow our community, and bring even more students to ICFP 2015 in Vancouver! Your generosity will make it possible for students from all over the world to attend ICFP, the premier conference in functional programming. There, they will meet luminaries in the field, as well as people who’ve built a successful career and/or business on functional programming. They will return home inspired to continue pursuing functional programming in the confidence that exciting future careers await them. For the first time, we will also host an Ally Skills workshop by the Ada Foundation, as well as continue the successful student mentoring workshop from previous years. This year, we’re continuing similar system of levels of financial support as last year. Our goal is to enable smaller companies to contribute while allowing larger companies to be as generous as they wish (with additional benefits, in recognition of that generosity). The support levels, and their associated benefits and pledge amounts and benefits are as follows (costs in US dollars). Bronze: $500: Logo on website, poster at industrial reception, listed in proceedings. Gold: $5000: As above plus: named supporter of industrial reception with opportunity to speak to the audience, and opportunity to include branded merchandise in participants’ swag bag. Platinum: $10000: As above plus: named supporter of whole event, logo on lanyards, badge ribbon, table/booth-like space available (in coffee break areas), other negotiated benefits (subject to ACM restrictions on commercial involvement). Thank you for your time and especially for your generosity! I look forward to seeing you in Vancouver. If you are willing to be a sponsor, it would be helpful to hear back by March 9th to help us plan and budget. If you are interested, please get in touch with me or any of the organizing committee. If you’re interested in helping out ICFP in a non-financial capacity (for example as a student volunteer), then there will also be plenty of opportunity to sign up later in the year.